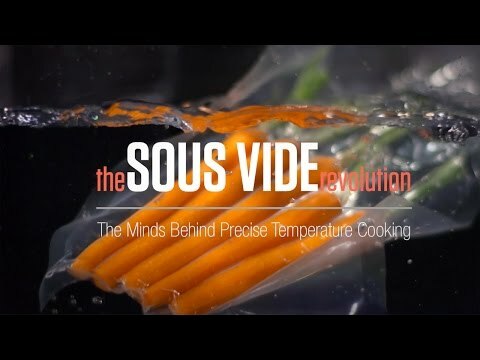 The Sous Vide Professional CHEF Series sets the standard for Sous Vide cooking. The CHEF Series Immersion Circulator was developed to meet the requirements of the world's best chefs and to add a whole new dimension of control to your kitchen. With its innovative, new features and award winning design, the CHEF Series Immersion Circulator delivers outstanding results under the toughest conditions and demands. The compact design makes for easy storage. The immersion circulator clamps onto any pot or tank with round or flat walls that can hold up to 30 liters (8 gallons) for instant liquid circulation control. Includes: Protective Travel & Storage Case, "Sous Vide & Precise Temperature Cooking-Technique & Recipies" book and a temperature reference table. 120v, 50/60Hz. ETL commercial approval. Pump: 1-speed with adjustable slide. Maximum Pump Output: 12 liters (3.2 gallons) per minute. Maximum Temperature 200ºF (95ºC). Temperature Stability: ±0.1ºF (±0.07ºC). 1,100 Watts.